The Minuteman Port A Scrub 14B is a 14" scrubber that has two 780 RPM counter rotating brushes that tackle even the toughest jobs! 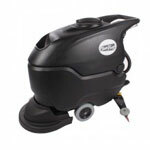 This auto scrubber is great for cleaning tile, stone and vinyl floors. Especially floors with grout, as the two cylindrical brushes can get into those grout lines and clean like no other. The low profile 14 inch cleaning head is compact enough that it can go anywhere and is perfect for small areas like restrooms, hallways, and underneath counters and partitions. A follow behind squeegee recovers all of you dirty solution all in one pass in forward or reverse. Weighing in at 97 pounds, makes this machine an ease to transport, and the folding handle makes it even easier to store. Never before has such a compact auto scrubber come in such a functional design! Check out the other great Minuteman automatic scrubbers as well as other brands of walk behind scrubbers that we carry. 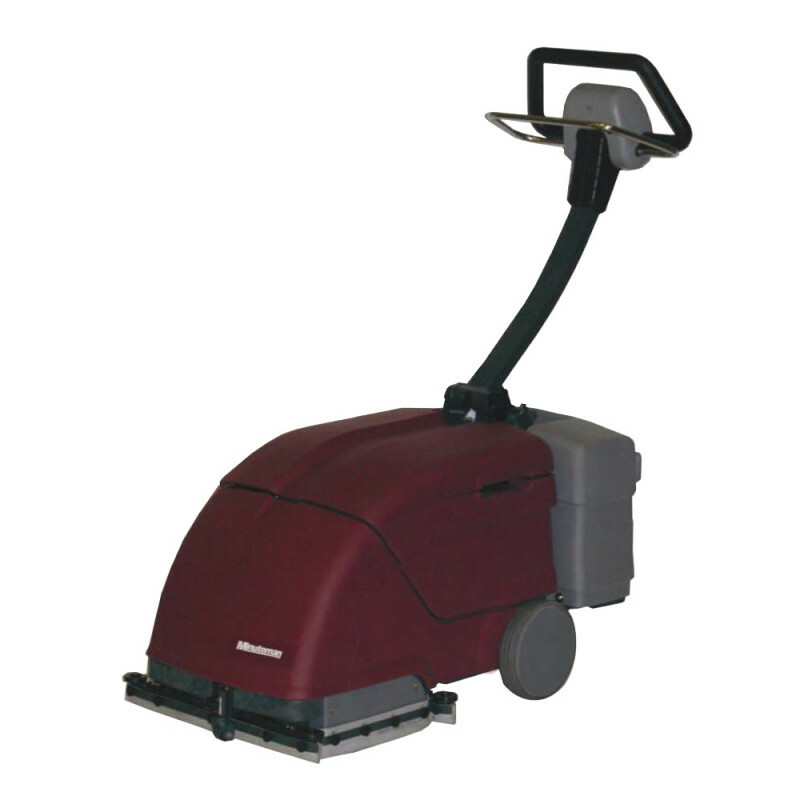 There's sure to be a floor cleaning machine that's perfect for your floor care needs.